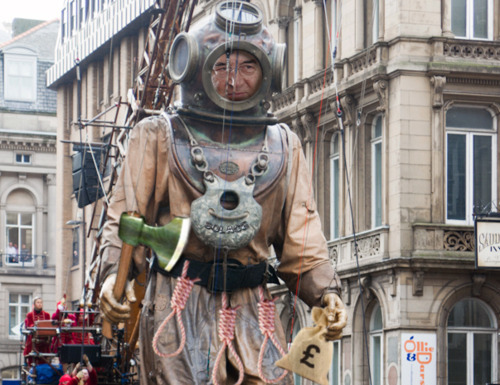 Well when we say “giant” we mean “giant salary.” Solace Associate and Council troubleshooter Michael Fratler has been drafted in to sort out beleaguered Wirral Council on a monthly salary of £15,000 – “based on £1,200 per day, three days a week, 4.2 weeks per month.” Nice work if you can get it. 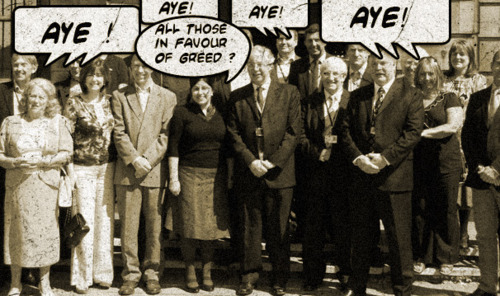 Can anyone smell a gravy train pulling into Hamilton Square ? 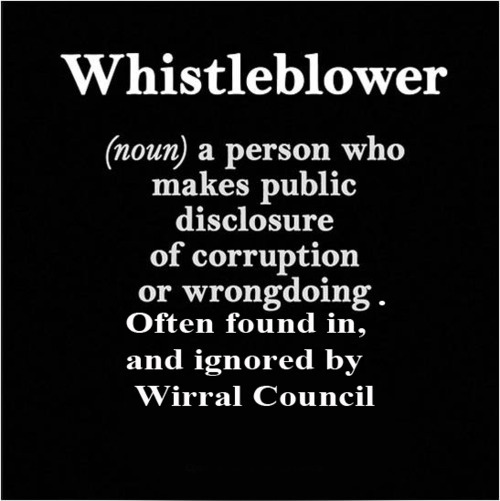 Michael , who bears more than a passing resemblance to a middle aged Harry Potter , will certainly need a magic wand to defeat the ‘death eaters’ who infest the corridors of power in WBC and his appointment has been greeted with much triumphant harrumphing by readers of the Wirral Globe. It seems they have found a new hero, although looking for a hero in “Solace” would seem as fatuous as looking for enduring talent in a Simon Cowell TV show. “Michael Frater is the 3rd Chief Exec to leave Nottingham in the past 6 years. Pay-offs to the previous Chief Execs were £110,000 and £153,000 bringing the total amount Nottingham City Council has spent on getting rid of disgruntled execs to around half a million pounds. It looks like there’s quite a bit of money to be made in not getting along with your colleagues if you’re a Chief Executive. It’s good to know that our taxes are being well spent. It’s not the only area in which Frater has been frittering away money. At the start of the month, by which time it is claimed he had already moved his furniture back to Telford, he was enjoying himself at a Nottingham City Council funded £52,000 beach party on the Cote d’Azur. 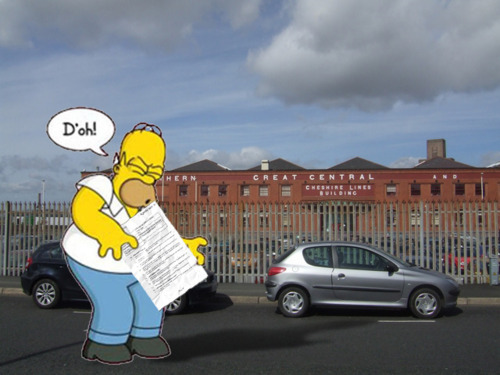 Apparently he was wooing developers to invest in Nottingham at an international property show. It seems that we don’t have enough luxury flats in the city centre, making private profit for their millionaire owners whilst pushing affordable housing further into the periphery. So here at Maison Forte De Wirral- Leaks we will not stringing up the bunting or popping the Armand de Brignac open just yet. “wide-scale systematic weaknesses” and “potential fraud”? Oh dear, what a pickle…. Yesterday we published “The DASS VISION.” Under the spirit crushing corporate speak and spin it’s easy to miss detail. Eldritch our elderly butler alerted Lord And Lady Wirral-Leaks to the fact that true to form, out of every misfortune DASS management seek to turn it to their advantage. So instead of getting rid of the quite frankly crap managers, the proposal is to ask Councillors for yet more money for “Management.” Yup you couldn’t make it up, and yet again we haven’t. So it’s MBA’s all round ? And the gravy train rolls on. Last time we looked these Management courses cost the tax payer around £ 37,000. Factor in that much of the work is also done in Council time (study days, days to attend college) and the economic cost is arguably far greater and for what exactly?? , Oh and you’ll find managers asking overworked Social Workers to give up part of their working days, and put their cases on hold, to help their managers with their course work. To: Woodcock, Maria A.; Burns, Mo; Alldis, Sarah L.; Nicholls, Karen V.
Subject: FW: Peter Tomlin’s dissertation focus group. I should have contacted you before Sheena sent the e mail. This replaces the previous request for managers to attend – I’ve consulted with my course tutor and agreed that a discussion by practitioners over the issues raised by the questions (see attached) is a better way of verifying the evidence through a focus group. If your team members can help at all I’d be very grateful. Each session will not last more than an hour. Subject: Peter Tomlin’s dissertation focus group. Peter has asked if you could please arrange for four social workers to attend his dissertation focus groups to be held on any two of the dates below (two SW’s for each day). After #DELAYGATE point 6.1 – Adult Social Care Outcomes Framework is perhaps not the most sensitively worded goal.